Mal Meninga has apologised profusely to jettisoned forward Sam Thaiday following the former representative’s attack on the Kangaroos coach on Tuesday. 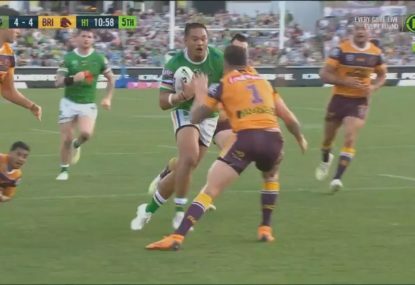 Thaiday tore into Meninga after failing to receive a phone call to be informed of his axing from the 24-man squad for the upcoming World Cup. 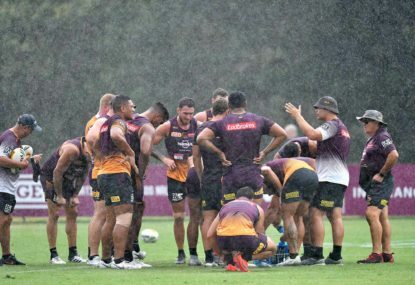 Thaiday was one of two incumbents omitted from the team due to form and made his feelings known in an angry social media post on Tuesday. Meninga called the Brisbane star immediately after learning of Thaiday’s comments. “It’s my fault. There’s no excuses. I apologised to Sam, I had a good yarn to him. I couldn’t be more apologetic to be more honest with you,” Meninga told AAP. The 32-year-old Thaiday was considered instrumental in helping rebuild the Kangaroos culture, including the penning of an ode during last year’s Four Nations tour in Europe. Despite playing in the mid-year Test against New Zealand, he was dropped from the Queensland State of Origin team after their game one loss. 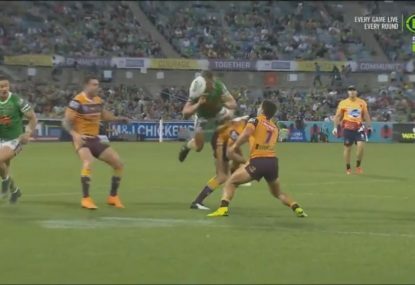 The Maroons won the last two games to claim the series, however Meninga insisted it was still an oversight to not speak to him. “I put my hand up. There’s no excuses for that,” he said. 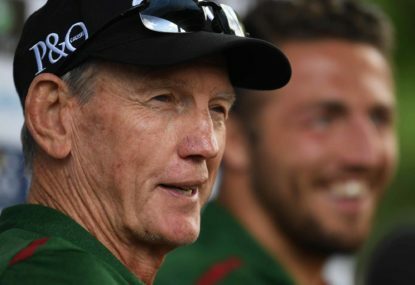 “I agree with his comments and part of what I wanted to achieve around the Kangaroos was around the rise and part of that respect. Meninga and Thaiday have a long history dating back to when the former Maroons coach handed the Broncos second-rower his Origin debut in 2006. He hoped the phone call would save their relationship. “I hope that he appreciated the phone call,” he said. “He vented, I understand that too. He’s had a tough year, particularly representatively. He had every right to vent. Asked how close Thaiday was to selection, Meninga said: “That’s not for me to comment publicly on to be honest with you. Thaiday’s omission is likely to end a 10-year career in the green-and-gold jumper dating back to 2006 totalling 34 Tests.